Do B2B buyers really prefer buying online? Or are they just desperate for trusted sales professionals who provide insight and guidance? We investigate. We’ve heard it time and again: today’s buyers would rather go through most of the buying cycle on their own than deal with a salesperson. Plenty of statistics back up this assumption. Using the Internet to access just about any information imaginable is one of the main reasons cited. But there’s more to this theory than meets the eye. Given these modern buyer preferences, sales pros should just wait to engage buyers at the end of the sales process, right? Wrong. That’s a big, fat myth. Dig a bit deeper and you’ll conclude that buyers are not erasing salespeople from the equation just because the Internet makes it easier to conduct research. It appears that buyers are also dissatisfied with the quality of their interactions with sales professionals. In other words, why bother engaging with sales reps who don’t provide value above and beyond the content that’s already available? Sure, buyers may be two-thirds of the way through the sales cycle by the time they engage with a salesperson, but they expect a personalized experience throughout the sales cycle. By engaging throughout the sales cycle, you can position yourself as a trusted expert early, allowing you to stay top of mind. The good news is that it’s in your hands to upend the perception that sales pros should wait to engage. In fact, buyers will appreciate you doing so because access to all that information via the Internet can actually complicate their research and decision-making process. 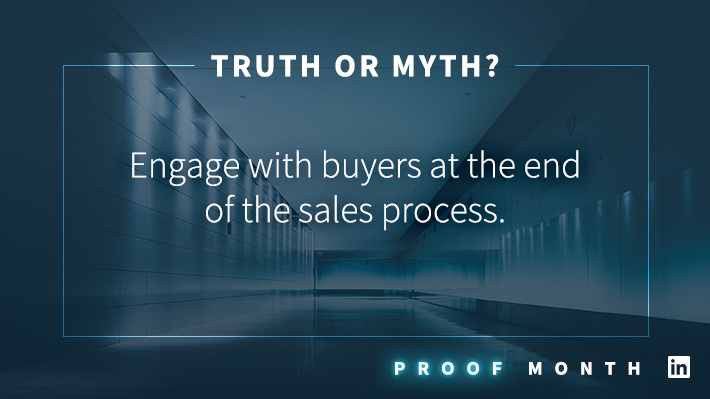 Here’s how to take control of the narrative to put this myth to bed and give buyers the simplified process they crave. Many buyers feel that sales reps do not understand their business well enough to be truly helpful. Prove them wrong by gathering all the background information in detailed dossiers. Because this will be a time-intensive (but worthwhile) exercise, start by creating dossiers for just your high-value prospects. To develop the dossiers, conduct research to uncover your prospects’ specifics pains, challenges, and goals. Keep in mind that sticking with the status quo is often your biggest hurdle to overcome, so look for clues as to potential barriers to purchase. Take a multi-dimensional approach by mapping your sales prospect’s concerns and priorities to their companies’ strategic priorities. Take advantage of all the resources at your disposal, including social networks, company websites, and people in your extended network who are connected in some way to your target account. Configure real-time alerts on LinkedIn and other social networks about these potential buyers to stay in tune with their buying journey, milestones, and obstacles to purchase. Once complete, these information-rich, “top secret” files will be your go-to resource for all the nitty-gritty on what matters most. Or in other words, precisely what your prospects want you to understand and focus on. The next step is determining all the ways your solution can help these prospects overcome their challenges and achieve their objectives. After all, that’s a critical part of what they are trying to understand during the buying process. Instead of making them work hard to figure this out, do all the legwork for them and you’ll be providing supreme value. Calling upon the information you’ve gathered in their dossier, document specifically how your solution addresses each strategic priority and how you can overcome each obstacle to purchase. Take into account the prospect’s unique circumstances as you explore all the ways to make your solution a perfect fit for them and their organization. If possible, go a step further to calculate how the use of your solution will either save the prospect’s company money or help it generate more revenue. Now it’s time to put all your knowledge and insights to good use. If you are already connected in some way with the prospect, reach out. Make it clear you’ve done your homework, and entice them to respond by hinting at the fact that you know a way to help them achieve their goals. Remember that your prospect might not yet be convinced that their pain is significant enough to warrant a change. Even if they think a change is needed, they may feel something is standing in the way of them pursuing the change. Keep this in mind as you plan your outreach strategy and craft your messages to fully prove your value. If you are not yet connected to the buyer, capitalize on relevant opportunities to demonstrate your understanding of their situation and priorities. These chances might come in the form of joining online or in-person discussions where the buyer is present. Or it may be that you comment on and share their posts with your network. 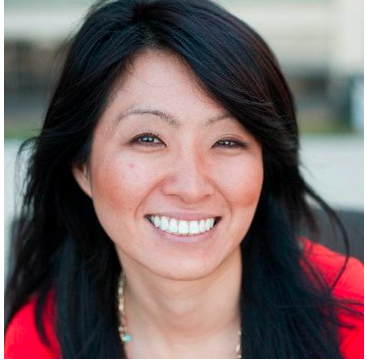 Whenever it makes sense, ask thought-provoking questions that give the buyer pause. Your main focus is to demonstrate your value and credibility by sharing relevant content and insights. Do this well and your top prospects will welcome the opportunity to further engage with you and tap your expertise as a trusted advisor. Throughout this process, take a nurturing approach. In other words, don’t try to force a conversation or a timeline on your prospects. Put in the time to establish and build a trusting relationship and you’ll be well rewarded in the end.